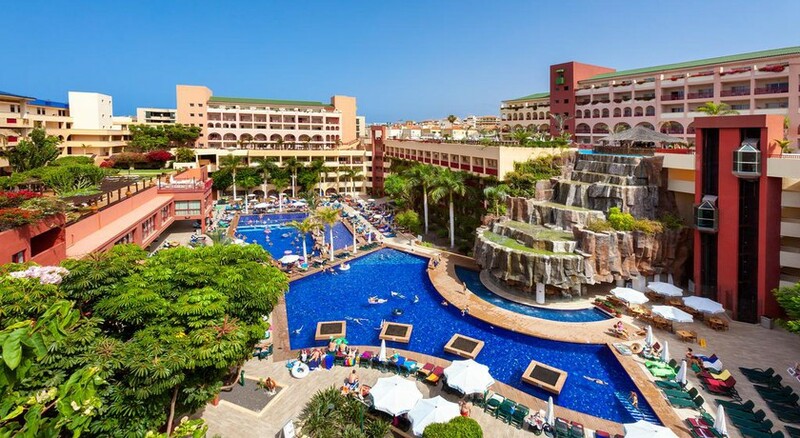 A family-friendly establishment nestled in South Tenerife, Hotel Best Jacaranda offers a magical combination of picture-perfect beaches, modern facilities, leisure opportunities and everything necessary for a memorable tropical holiday. 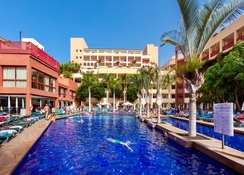 Set 450 metres from Costa Adeje’s Playa de Fañabé, the hotel is just a 20-minute drive away from Tenerife South Airport. Spend your day indulging in activities such as tennis, basketball and volley ball, make a splash in any of the six outdoor pools, or simply lay on sunbeds at the terrace – you’ll never run out of things to do. Built around a beautifully landscaped garden, Hotel Best Jacaranda houses 563 contemporary guestrooms. Its spacious rooms welcome you with all their comfort and luxury. Apart from having fun at the beach or pool, guests can enjoy some of the hotel’s fantastic entertainment options, which include nightly disco, live piano bar and lots more. 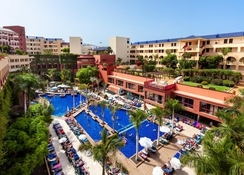 Only 450 metres from Playa de Fañabé in Costa Adeje, Hotel Best Jacaranda is a four-star property located 19km from the Tenerife South Airport. The hotel is celebrated among families and couples as a destination to relax and rewind and have a fabulous seaside holiday. The bus stop is only a stone’s throw away and there are scores of restaurants, nightclubs, bars and shops around the hotel. Hotel Best Jacaranda features a total of 563 rooms spread over nine floors. There are four categories of rooms: Superior Rooms, Superior Rooms with pool view, Superior Family Rooms and Superior Family Rooms with pool view. Beautifully designed and decorated, these air-conditioned guestrooms come with mini bar, en-suite bathroom, hairdryer, TV with satellite, telephone, Wi-Fi, safety deposit box, private balcony and daily maid service. At Hotel Best Jacaranda, guests can eat to their heart’s content at the main restaurant that serves breakfast, lunch and dinner in buffet style, apart from offering kids’ menu and live cooking shows. On the spread is a wide selection of vegetarian and non-vegetarian dishes from local and international cuisines. Once a week, the restaurant organises themed dinners with traditional dance shows and live music. Piano Bar, the main bar serves all kinds of drinks, and this is where all live events and programmes are conducted. 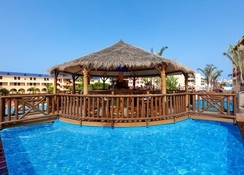 In addition, there are two pool bars, Cascade Pool Bar and Coco Loco Snack Bar that serve sizzling cocktails and other alcoholic and non-alcoholic drinks. Those who wish to pamper themselves at the hotel will never run out of options. The hotel offers a choice of four adult pools (one heated) and two children pools that come with solarium, loungers and parasols. The hotel’s leisurely vibes are manifested in the vast range of activities that it offers – football, volleyball, beach ball, basketball, billiards, table tennis, archery, rifle shooting, tennis, water gym and board games. Children between 4 – 12 years can join the mini club specially designed keeping in mind the young guests’ pleasure. In case guests need some time quiet to relax and rewind, there are a fitness centre and spa with sauna and hairdresser. And if all of that is not enough, in the evening, the hotel organises professional shows three times a week for an extra dose of entertainment. Top class hotel for the money. About 5 mins walk from the beach, once you work out the best way there. Food is really good, with so much choice you dont know where to start fro breakfast, dinner and tea! Garden / pool layout is original, with lots of sun beds for all.